Spending a force to perform a purple evade action is better than spending **** all because you don't have an evade on your action bar. Anyway, does Swoop work on himself? He is a small base ship and range 0 often implies that the base ship can also benefit from the ability. Welp, if it wasn't purple, it wouldn't be there at all so better something than nothing? Yup, his ability doesn’t say ‘other’. It would be so useful to at least have a ball park figure of how many points, even if very roughly, these pilots cost. Are the cheapest Torrents in the low 30's ball park, you think? Only when you don't have the opportunity to shoot, then you're better off stacking focus and your force point. It's a nerfed A-Wing (pay a force to evade) with the TIE/In ship ability locked behind a force charge (minus the stress) and a slightly better dial than a Scyk… Using the evade on anything but a named pilot will be stupid. Hello there But for hating flying that's a high ini. Swoop not working on himself would make his ability far too conditional. 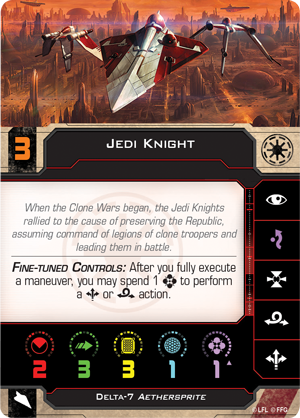 The torrent pilots and their abilities look quite interesting. Then we also have the Arcs with their sideway/broadside support abilities. There is going to be a ton of criss cross support shenanigans in this faction. Shield instead of a hull, purple evade but also force charge. I would hardly call it nerfed. Is it also stronger, no idea. I think testing revealed that evade + force was a little too good on these things, but that is speculation on my part. Do we know for sure that you don't spend the Force to take an evade action in addition to your regular action? The purple Evade is far better on higher-Force ships than it is on lower-Force ships. Then you stack Focus and Evade but still have to manage your pool - that's the balancing factor. It's meaningless to compare that to A-Wings and Interceptors. This is what I am thinking it is. As in, you can take your normal action, (Focus, BR, whatever) and can then spend a Force to take an Evade action (if you aren't stressed, of course). I'd speculate no since they would tout that when explaining that you have to spend the charge. However, no confirmation either way. Welp, and? I mean, you're not even exactly right because it has a different slot bar (droid) so yeah - aims at being a decent mix of many other chassis. Is there even something wrong about that? By the polish distributors, it's been said that the action is not a bonus one but one with drawback. Speaking for myself, a nimble starfighter designed for souped up Force based reflexes, having a worse evade action than the A-wing or TIE Interceptor feels counter intuitive. And as I have said before in other threads, it's use is going to be so niche it will almost never get used. Probably, when you look at the Striker. It's almost like a lesser version of Vader and the x1. A ship weakened because of the potential power of it's pilots. I would rather them err on the side of too powerful and make them expensive to compensate. Than to end up having to talk about swarms of something that should be rare and powerful. It's a theme/feel issue. Just throwing that in here... I have not once used the evade action on my awings, for 183 distinct A-wings on the table in 2.0. Not a single time. I might have if I'd have gotten a focus on top though. And that's what Obiwan and Mace Windu get: an evade plus their remaining force. That's token stacking at a price, and that's much better. I imagine this is a balancing mechanic. Don't forget, the republic will be the first (and so far only) faction where you can field multiple force users with 2 to 3 force tokens each. Imagine you had 3 high Initiative jedi coming at you with 2 and 3 force tokens a piece and they also got an evade for nothing. Not saying they would be OP but they would be tanky. I imagine this is a balancing act for multiple ships utilising evade and multiple force tokens together. That ship list was exactly what I was thinking. If this was the kind of ship that didn't normally have Evade on its bar, it would be one thing. But it's exactly the kind of ship that's known for having Evade. It might work out, but it's certainly unintuitive. There is an easy solution to that though, cost. Just look at the TIE Defender, people acknowledge it's powerful and hard to kill but it isn't tearing up the meta. Yeah Evade actions are pretty terrible when compared to the more versatile focus and stackable calculate tokens. Unless a pilot has juke to make use of evade actions evade is never taken. As for purple actions, it is difficult to see which is worse, red actions or purple actions. Red actions do give you a stress limiting your dial but leave you with force tokens for dice modification. Purple actions do not give stress, but in taking an action you essentially lose a calculate token. Don't forget, the republic will be the first (and so far only) faction where you can field multiple force users with 2 to 3 force tokens each.